Georgia Hall fired a second round of 67 to take a one stroke lead at the halfway stage of the Andalucía Costa del Sol Open de España Femenino. 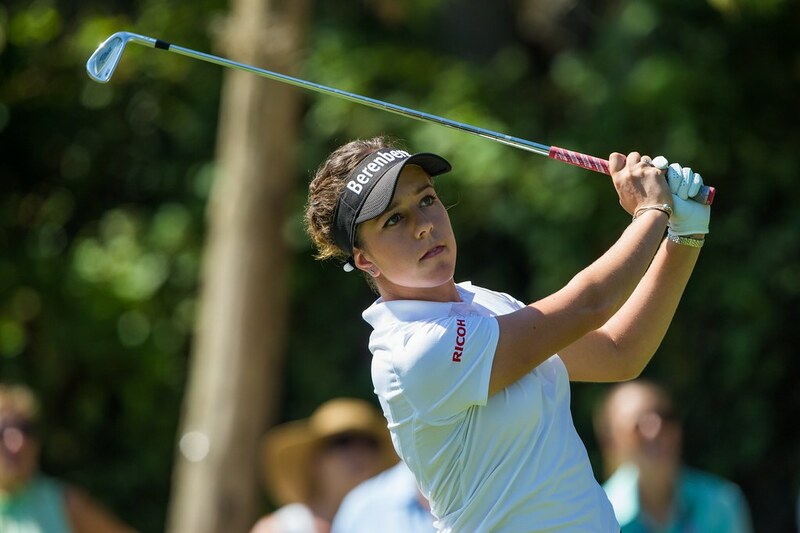 At 12-under-par, she is one stroke ahead of Carlota Ciganda and home-town heroine Azahara Muñoz, who equalled the course record with a 64, only to be followed by another 64 from Supamas Sangchan of Thailand moments later. The defending champion, Muñoz, who is playing at her home club, said that her flawless 64 was her best ever round on the South Course. Frenchwoman Valentine Derrey sits in fifth spot, while Ursula Wikstrom and LET rookie Meghan MacLaren are tied for sixth. Diana Luna and Natalia Escuriola Martinez, who held a share of the lead after the first round, both had rounds of 73 to share eighth place. Sangchan and Suzann Pettersen are part of a large group in a tie for 10th on five-under-par.